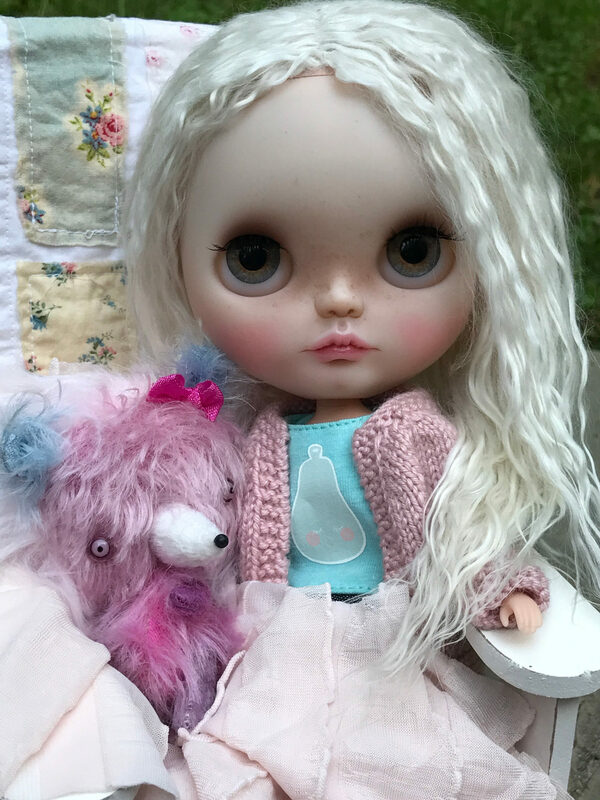 My name is Nicole Cayer and I am custom Blythe doll artist located in Vienna, Virginia. 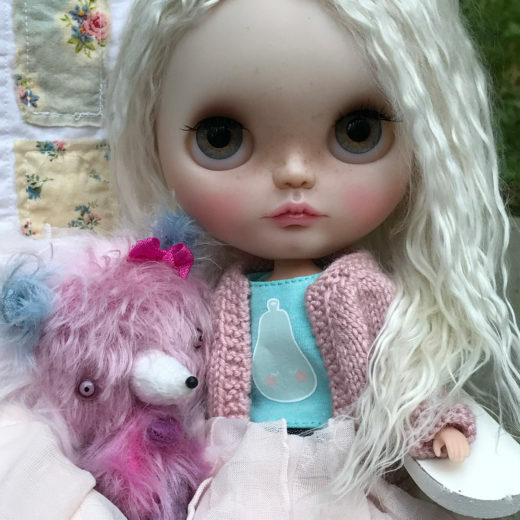 In between juggling the demands of a full-time job, my identical twin boys, 3 cats, 3 dogs, and an untamable Norwegian (read Viking) fiancé, my absolute favorite way to spend my time is customizing Blythe dolls. 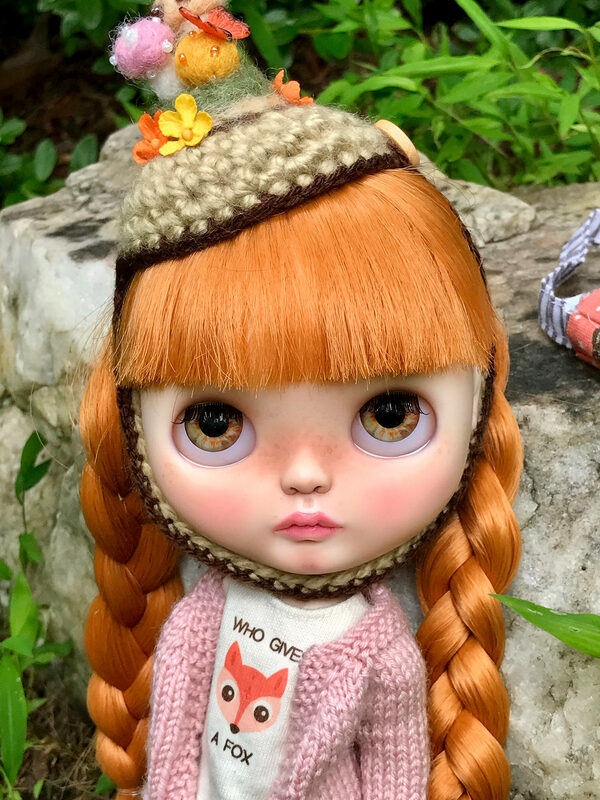 I found Blythe quite by accident in the Fall of 2016 when I was browsing Etsy (one of my favorite past times). 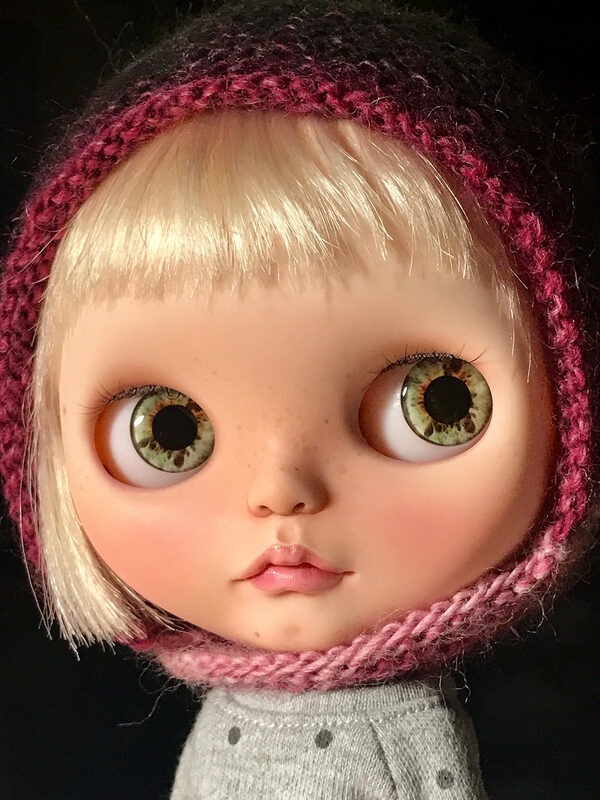 It was love at first site; like many, I was intrigued by her large eyes and disproportionate head. 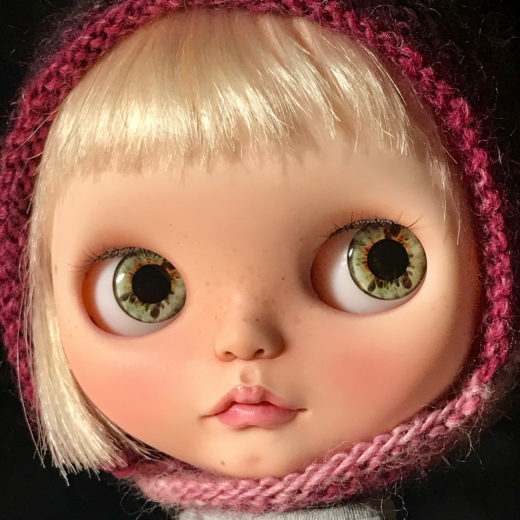 As I browsed through the OOAK Blythe dolls on Etsy, it was clear that the possibilities for creating unique dolls were endless. I immediately knew that I wanted to try customizing. 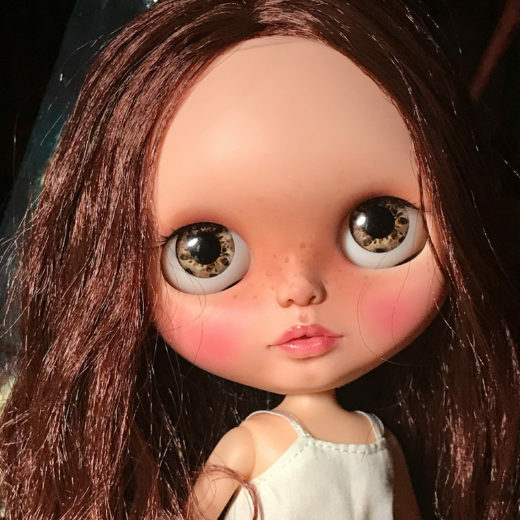 Since I was a child, I have enjoyed spending my time working on creating art in many different forms, but never have I found a medium that I have felt passionate about like Blythe. 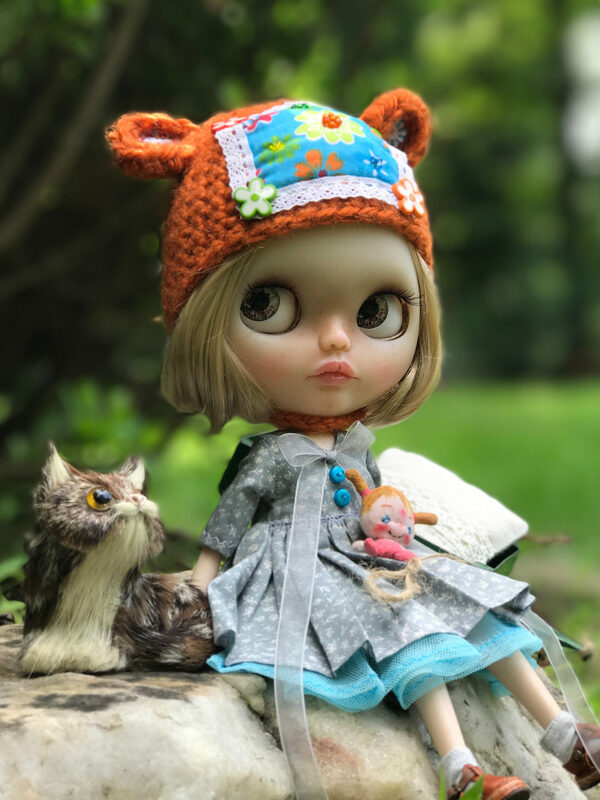 It has become a deliciously not-guilty addiction and not only do I customize these girls, but I also have quite a growing personal collection. I have always been an unconventional person and a bit of a rebel. 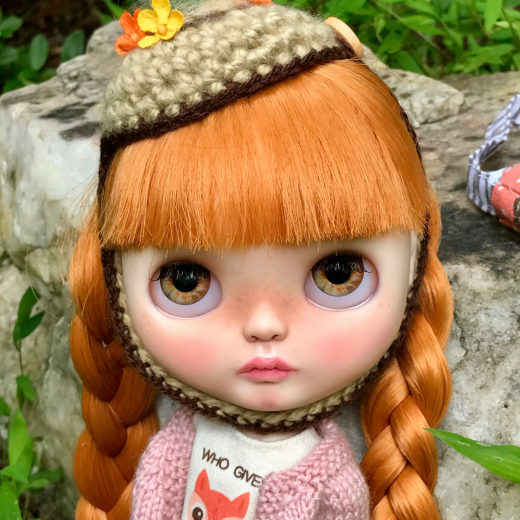 I love this quote by JFK, “Conformity is the jailer of freedom and the enemy of growth.” Whether in work, my personal life, or creating dolls, I keep this in mind. 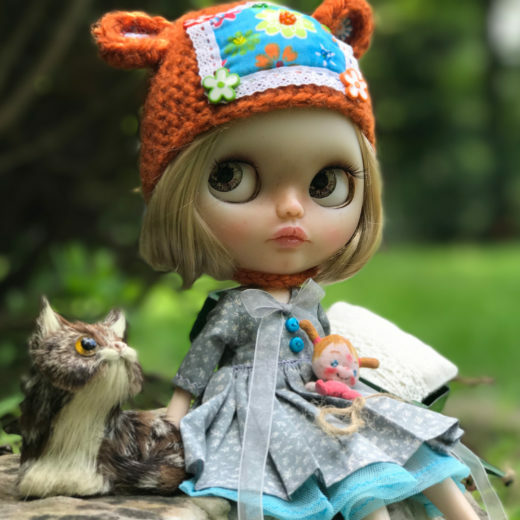 Every doll I create is unique and I bring to life a wide spectrum of girls from beautifully creepy to adorably cheeky. I continually challenge myself by trying new techniques or styles. 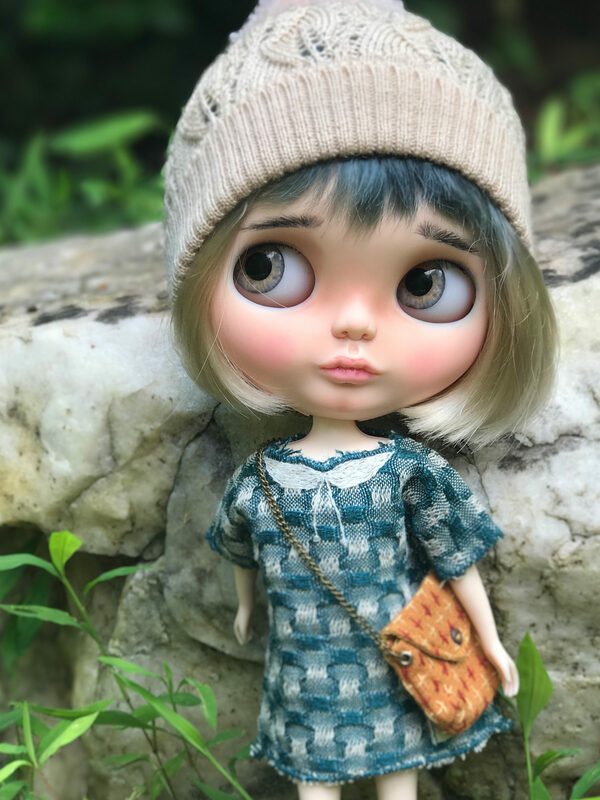 I prefer to let a doll speak to me and tell me who she wants to be. 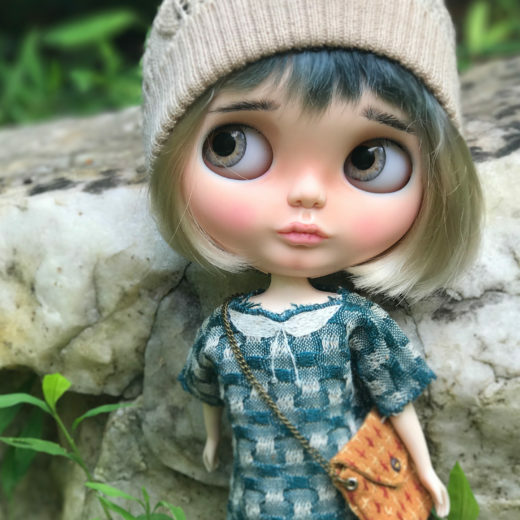 Just like people, I find that a doll forced into being something she was not meant to be, it never turns out as lovely. 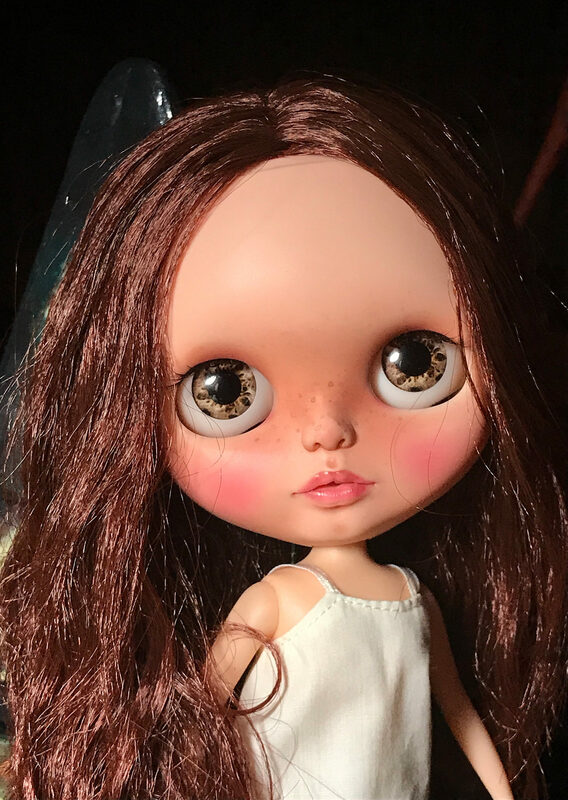 For this reason, I do not typically accept commissions unless a customer is willing to give me the freedom to go wherever the doll may take me.